As we prepare in anticipation for the Ardor child chain migration, Bitswift has been busy establishing the foundations to which we need to move forward on. Before diving into new announcements though, let’s clear up some old matters that need to be addressed. One of the topics on hand is the unclaimed token pool from the token swap which was hosted on Bittrex. Users have redeemed all of their tokens on Bittrex and through manual processes, we ended up with a sum of 353,454.5081476 Bitswift tokens which have not been claimed. This makes up approximately 8.7% of the total Bitswift token supply which is considered significant. We are announcing that we will eliminate 50% of this unclaimed token pool from the Bitswift token supply total. The amount to be deleted is exactly 176727.2540738 Bitswift tokens, leaving exactly 176727.2540738 remaining in the unclaimed pool. This is our way of saying thank you to all existing early adopter Bitswift community members, as there are now less tokens to go around with increasing utility, increased value will follow. This scarcity will be reflected in the Ardor child chain token supply total. We will burn 176,727 Bitswift tokens out of existence prior to the Ardor snapshot. The remaining 50% of the unclaimed ( 176727.2540738 Tokens) will be allocated towards the ongoing healthy development of the Bitswift ecosystem. All tokens will be spent from this pool in a transparent manner. Largely we would like to see these tokens allocated towards products and services designed to attract new users into the Bitswift token ecosystem where new users may also benefit from the blockchain products. Distributing these tokens freely to new users through targeted mechanisms could be a highly effective marketing tool. The Bitswift team will be launching two new token pairs under the Bitswift child chain. CASH and TECH token will operate under the Bitswift blockchain with purpose and support from Bitswift companies. CASH token will be the primary token used within the Bitswift.cash platform. This platform will facilitate accessibility options for customers wishing to enter into token ecosystems. CASH will also provide the basis for our universal basic income project (Bitswift Basic Income / Equality) where users may claim up to a certain amount of free CASH tokens per day. The purpose of TECH token primarily is to provide a performance bonus to Bitswift Tech reps and community members who are establishing client relationships and expanding the Bitswift brand while promoting Bitswift products and services. The second purpose behind TECH token is to begin establishing business model examples which promote operational transparency and automate business processes on the blockchain. TECH token will interface with the Bitswift blockchain and a market will be spawned where TECH tokens will be traded directly for Bitswift tokens on the Bitswift blockchain. Tech tokens would be attached to a ticket as an asset, with reps knowing when the solutions ticket is completed the assets are automatically unlocked and credited. Bitswift Tech rep completes a solutions request from Bitswift Tech worth $100.00. Rep receives 10 TECH tokens, along with their regular commissions. As business grows through Bitswift Tech so will the overall valuation of Bitswift Tech company and the amount of circulating supply of TECH tokens. Integrating TECH tokens into future Bitswift products and services will help differentiate them from other tokens on the Bitswift blockchain. TECH token will set examples for hybrid DACs in which humans cooperate in a decentralized manner achieving common goals, a move towards people self managing and working for blockchains. They also represent value in true work, in that someone would have engaged in physical and mental activity to unlock them. We expect CASH and TECH to launch in 1st quarter 2018. Our company Bitswift Technology Solutions launched an online technology based shop, the Bitswift.shop. The shop is still under development and considered in early beta stages, but it is currently live taking orders and shipping anywhere in Canada (except Yuokn and NT). The goal with the shop is to provide our current customer base a means of purchasing tech equipment through our reps, as well as to start defining the merchant process for our future products and services. The focus of the shop is to package the technology product with installation and support options so that a representative may be on-boarded and assigned to assist in providing the installations solution. We want to ensure that each of our reps comes equipped with a shop in their backpack which they may utilize as a sales tool to help them become more profitable. With reps also on site and remotely promoting, supporting, installing and educating on other Bitswift products and solutions. In time, our shop will compete both on price and user experience with some of the other notable tech shops online. Incorporating TECH token into the shop as an incentive tool and gamifying the shopping experience will help drive traffic and take Bitswift.shop to the next level. We will work towards these goals in 2018. Bitswift.shop also accepts Bitcoin and other various other tokens as payment for products, including its own token, “Bitswift”. Recently Bitswift has been attending the Queen’s University Blockchain meetup events. We are excited to mingle with other Blockchain enthusiasts and experts in our local area. It is evident that the blockchain community is growing rapidly, and that there is increasing community interest in the areas of token ecosystems. Through networking at these events we are expanding our connections in the space while educating people on our projects. It has been a pleasure to find a professional group of people who share similar interest in our local areas and we look forward to all future meetups. We are excited to transition into Ardor as a child chain. The Ardor genesis snapshot will happen around December 25th 2017 at block 1630000 on the Nxt blockchain at which point the Bitswift asset will be frozen. Ardor main net is to launch on December 27th with Bitswift users able to login to their accounts using previous Nxt passphrases. The Ardor blockchain becomes fully operational on January 1st 2018 with at which point we can consider the Bitswift child chain fully operational. The Ardor architecture is really exciting. The bundler system is unique in that it allows anyone participating to start collecting fees from any child chain so long as they are holding some Ardr on account. Bundlers can also set their own fee rates, or no fee at all which could have its benefits in certain situations. Along with this new bundler system we have a completely new blockchain architecture with parent and child chains, completely solving the blockchain bloat issues that haunt Bitcoin and its immediate variants. Ardor child chains come packed with all the same features of Nxt, and Nxt in itself is an extremely powerful blockchain platform that in our opinion is underappreciated in the space. All of the following features will be inherited by the Bitswift child chain along with a host of other benefits : Sub assets and token creation, alias system, voting system, messages, data cloud, shuffling, phasing, account control, blockchain pruning, and much more. With the addition of these features, along with a growing phsyical task force for promotion, installation and support, we believe the Bitswift ecosystem starts looking quite attractive. We are glad instinct guided us migrating from our old proof of stake chain in favor of Ardor design, and we can’t wait to start building some amazing dapps on top of the Bitswift child chain. It seems like our hunt for new Bitswift representatives will be rather easy as we continuously receive questions and resumes sent to our email regarding joining our team. Our current network of representatives is growing as we have a new member joining in Hamilton, Ontario. This further expands on our presence nearly covering most of lake Ontario shore line Canadian side. Bitswift Tech reps already making the technology decisions on behalf of business customers play an important role in integrating our token products and services in the future. Reps provide a source of trust, a face, someone to call upon, and a source of education for this largely confusing (for the general public) token ecosystem. We will continue bringing on new reps who we feel are well suited for this role and we will ensure they remain profitable while operating under the Bitswift brand. The Bitswift network is growing, both physically and digitally and we have no plans to stop or slow down. We had put development on hold while we were concentrating on migrating from our previous chain and on ensuring our Tech company was able to grow some wings. It is time now to re-focus on our token based products, especially now considering home base within Ardor is just around the corner. We have been working on a simple and intuitive block / market explorer dedicated for our tokens. Bitswift.network will exist exactly for this purpose, to view market and blockchain statistics for the Bitswift digital ecosystem all in one place. 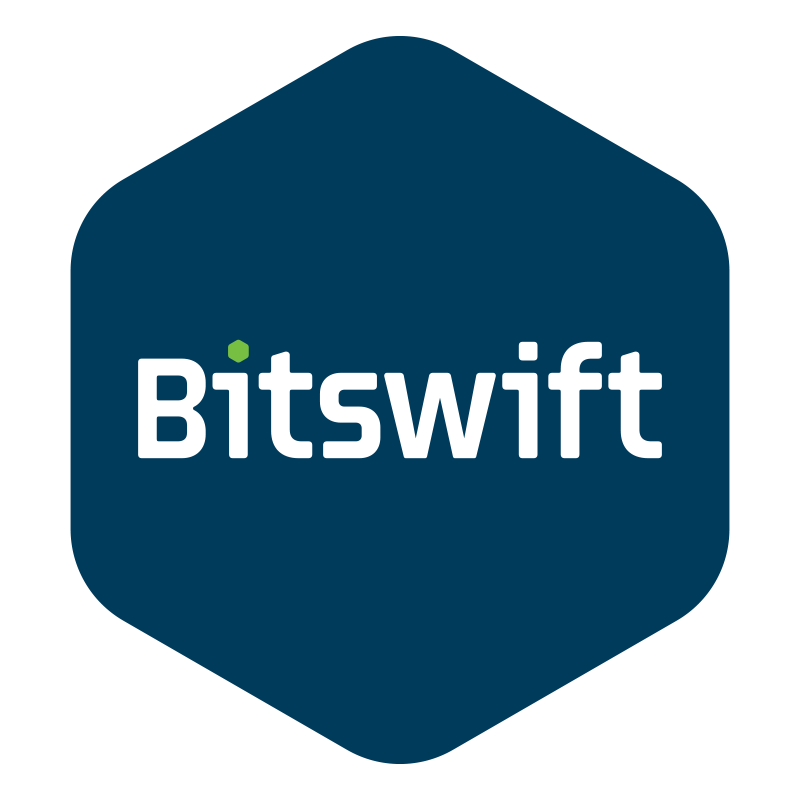 We will also be busy over the next month setting up the Bitswift wiki, where we will start to keep all information updated and active as it pertains to Bitswift. Bitswift is also working on a complete re-design of Bitswift.tech and along with it launching a website dedicated for the Bitswift digital token economy. Additionally, in 2018 we will start to develop apps that utilize CASH and TECH token along with releasing other planned modules which will be related to our digital products. At the current time Bitswift tokens may be purchased on Bittrex and the NXT asset exchange.We are very excited to see that our markets are doing quite well considering the upward trend in Bitcoin, it seems as though little Bitswift has managed to follow. We are actively engaged in expanding our market presence, this includes marketing and gaining exposure in China, Japan, Korea, and other crypto-savvy countries. We would not be surprised if a Bitswift market spawned on an exchange based in Asia in 2018. 2017 was the year for Bitswift to establish its foundations in which to move forward on. 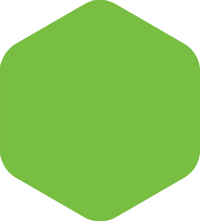 2018 will be year of exponential growth, both for our digital products, and our tech company. With a strong professional community behind us, a proper development team, a growing fleet of forward facing team members and growing community interest, Bitswift will grow to become a serious player within token ecosystems and among technology companies. Thank you to all the early adopters who have helped make this possible.